Those words are enough to send a shiver down your spine. After the difficult and stressful year I had last academic year, it became obvious to me that I needed to develop the skill of being at peace in any situation. I wanted to grow in my ability to be at peace. So here’s what happens when you decide you want to grow in peacefulness. Annoying stuff starts popping up all the time. Little irritating things show up that ruin your day or slow down your productivity or stress your relationships. It’s like you can’t get away from all these things that want to take AWAY your peace. And worry doesn’t just creep in, it BULLDOZES its way into you. All of a sudden these things show up in your life that you want to get away from. I left Uganda in June after one of the hardest years of my life, looking forward to a summer of relaxation, going back to my simple job that feels like perfectly broken in shoes, in a place where I’m surrounded by the people that know me best. 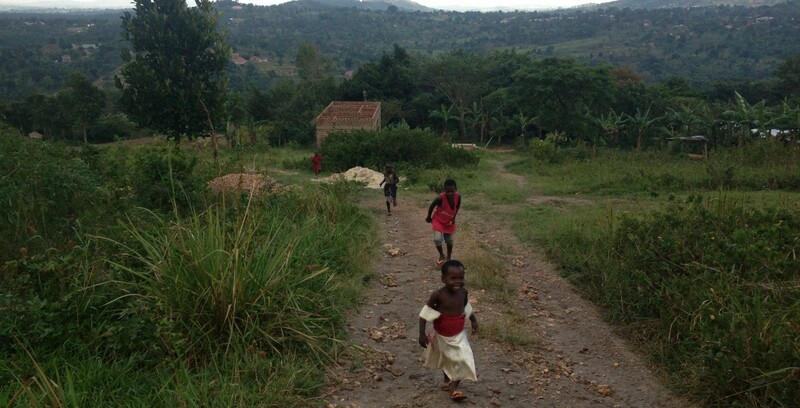 I loved how EASY my life suddenly was, in comparison to my life in Uganda, yet I wasn’t at total peace. I was being asked constantly what my plans were for after my contract was done—a year into the future! I was hurt by someone close to me. I had computer, phone, you name it, technology problems. But quickly I started to learn how much control I had over whether I was at peace or not. I continued to pray for God to give me the “peace that surpasses understanding” and remove plots of the enemy that could throw me off track and cause me distress. But I slowly realized that, up until I arrived back in Michigan in late June, the way I viewed peace was not accurate. Peace is not a feeling that washes over you or a place you enter in to only when things in your life make sense, peace happens because of your choice to be still and accept what is happening to you because you trust God is in control. Joyce Meyer points out in her book The Battlefield of the Mind that peace is not an emotion, it is a fruit of the spirit (Gal. 5:22) that results only from abiding in the Father. Like love, patience, self-control—being peaceful is not something that just happens to you. Sometimes it does come naturally, but usually, in real life, it is a daily, hourly, every moment decision. A fruit that results at the end of a growing process. Even if you are not a follower of Christ, you are at peace because you trust the universe/fate/luck/etc. will work everything out eventually. But I can have peace because I believe in a God who KNOWS me. I have peace because I believe in a God who protects me. I have peace because God knows way more about the world, and the future, and what’s best for me than I do. And that is a God who is worth trusting my life with. Boom. Trustworthy God of the Universe = Eternal peace. Right? But what about when those irritants are pounding at your door and you are struggling to even see God. In comparison to the year I had as a first-year teacher, my first few weeks back home in Michigan were very easy and restful, but I was not just looking to BE at peace, I was looking to GROW in my capacity to remain at peace. And that’s why God started letting stressors come into my path. Recently my eyes have been opened to the fact that God uses challenging situations to grow us. Never has my character or faith ever grown from a situation that was easy. In times of ease is when I notice God’s extreme blessings, but in times of struggle is when I search for Him more, question His plans, seek His purpose for the season I’m in, and look for the good work that He is doing in me. It’s the same when you’re eager to become more patient. Your spirit can’t become more patient if you have nothing to wait on. Your muscles don’t get stronger if you don’t increase the weight you’re lifting. A child cannot become better at reading if he keeps flipping through the same picture book over and over again. The growth is in the challenge. Considering peace, I also started to realize I wasn’t being serious enough about attacking my worry. I’m so thankful for the revelation God brings to me. One day, in my second week back in MIchigan, I was driving home from meeting with a friend who was also hoping to soon move to East Africa, when it suddenly occurred to me that when I worry, I’m telling God and everyone around me, that I don’t believe He’s as powerful as He says He is. When I worry about my future or the wellbeing of the people I love, I’m telling God I don’t trust Him. In those times I stop praying and thanking Him for His provision, and instead think about what I can do to fix the situation on my own, which is minimal compared to Him, and in the process just makes me miserable. Birds do not know where there next meal is coming from. I have always known exactly where I will receive all my meals from, yet I still worry. I may not have anymore of my future figured out than I did back in June, but I have started to rest in the fact that in the past 24 years of my life, I’ve had what I thought were some pretty fantastic plans for myself, but I’ve seen God’s plans always, without a doubt, turn out beyond anything I ever could have imagined. And that has become the peace I was looking for. Beautiful, heart warming and eye opening. Thanks for sharing your thoughts with all of us. Love you, Mom.